Pullipstyle just got in a restock of Pang-ju, the adorable little Chihuahua anthro tiny bjd as well as a shipment of Ai Dolls including some of the rarest dolls like Tsubaki and they almost all have very affordable prices! Ai Dolls Ai Dolls are tiny ball jointed dolls, they are approximately five inches tall. They are not made out of resin so they are considered off-topic on some bjd forums like Den of Angels but they are great even if they are not made out of resin because they are very inexpensive especially when you consider that you get a full set doll with a face up and wig/clothes eyes for a great low price! To put this in perspective, I normally pay upwards of $40+ for a default face up alone depending on the bjd company. They are great little dolls on their own but they would probably be great for anyone who is curious about bjd but is hesitant to take the plunge as they are normally so cost prohibitive. Pang-ju Pang-ju are tiny anthro bjds that were made by Groove over the past few years, they are quite adorable! 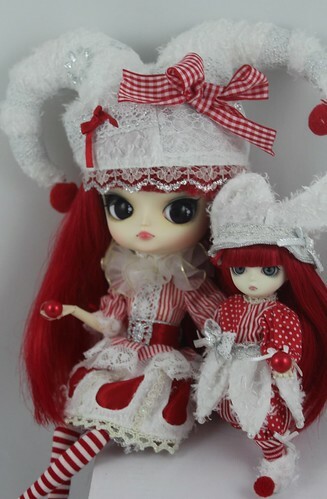 I mentioned previously that Pullipstyle had placed them on special here recently, most went out of stock very quickly. It seems like Pullipstyle must have received their restock as their Pang-ju selection has repopulated. You can see their selection of Pang-jus here. 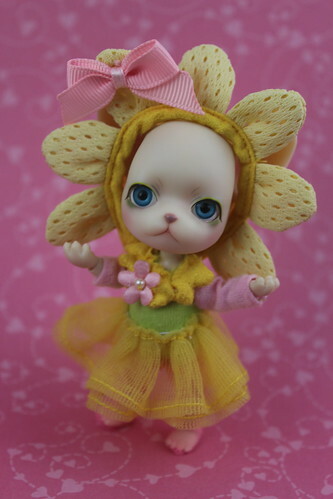 My Flower-pang that I ordered when the sale started arrived a few days ago and I couldn’t be happier with her, you can look forward to seeing a review of her here in the near future as well as Pome-Pang who I have not photographed yet ^^; . I desperately want to order Chiffon-pang now but I must be patient, there have been so many really awesome sales lately my wallet wants a break. 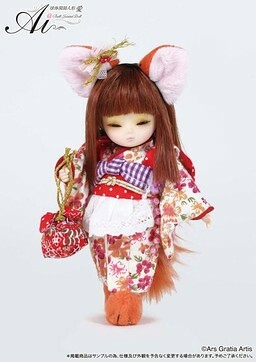 This entry was posted in BJD, Pullip and tagged ai doll, anthro bjd, BJD, pang-ju, pullipstyle. Bookmark the permalink. I have yet to buy a 2015 Pullip release, the sales is part of the reason why every time I get a paypal balance going and I’m about ready to order there is another sale and I ended up ordering sale items! My wallet could definitely use a break. I never expected Tsubaki to become so easily acquired, I did not hesitate in ordering it or a couple of the others I have wanted for quite some time like Zephyr even though I probably should have waited a bit. well, this is time 3 of trying to post this: now I am a little alarmed. I have done international shipping before all over the world but never Japan. I went ahead and finished the order with the form of shipping they already had marked as preferred which was like 6.00 almost. How soon can I expect to get my doll and did I do the right thing???? Pullipstyle is in the US, Arizona to be exact. They do free shipping on orders over $100 I hit that with my order as I had a few Ai Dolls. $6 sounds about right, I’m not sure if they will ship via USPS or Fed Ex if it’s Fed Ex it’ll take about a week if it’s USPS it’ll be there within like two or three days. They ship really quickly so you may already have shipping notice for them by the time I respond to this comment. thank you so much! lol, I feel very relieved to hear that. I am just blown away with what they had up, I wish I could have gotten some of the little animals but am more than happy with my fox girl. Thank you so much for letting us know and if you see them put up Larkspur or Azelea please let me know!!! I’ll keep an eye out for you! Let me know if there are any others you are looking for. 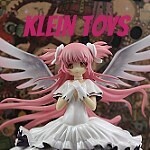 Oh, Plum, I have no idea why I always forget her, she is another I still need to get and want! well, today was like a mega Christmas for me! I can’t believe how fast I got the Ais of my dreams. I thought I would never get them or at least not easily or cheaply. I am not hoping to get a couple of Pangs, lol. I do still want to find the three I mentioned and will think of getting three more that are real back burner and know the one is unobtainable and I will have almost [but for the one] a complete set. Then I will post them in my renovated doll house I got as a child! Thank you so much for telling us about this incredible sale! Many hugz now off to play with my new dolls!